Sponsored Posts are a terrific tool to use to promote your event's sponsors. 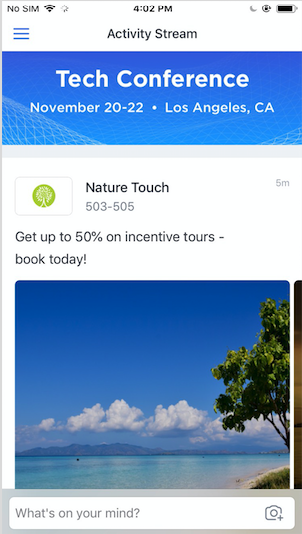 These dynamic posts act as an advertising space in your Activity Stream and can include a call-to-action button leading to a website or other external items (documents, apps, etc.). 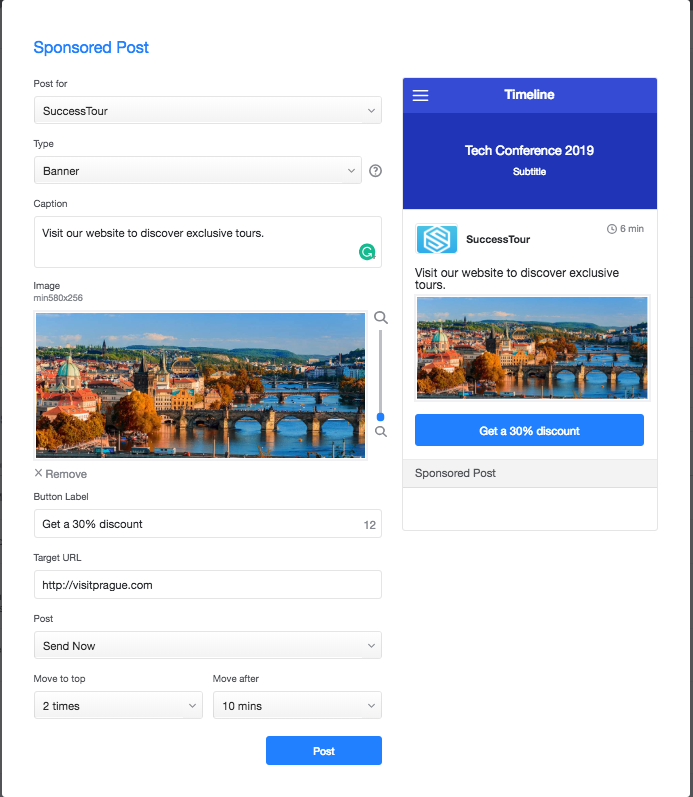 Best of all, these posts collect valuable data about attendees who have interacted them in the form of an Ad Report which can be emailed to the sponsors directly - justifying the sponsor's spend and providing them with real, tangible ROI. Banner: This is the most commonly used type of Sponsored Post. The Banner offers a fully customizable post with an image and call-to-action button. eCommerce: This template allows your sponsor to promote a special discount code or product purchase opportunity. 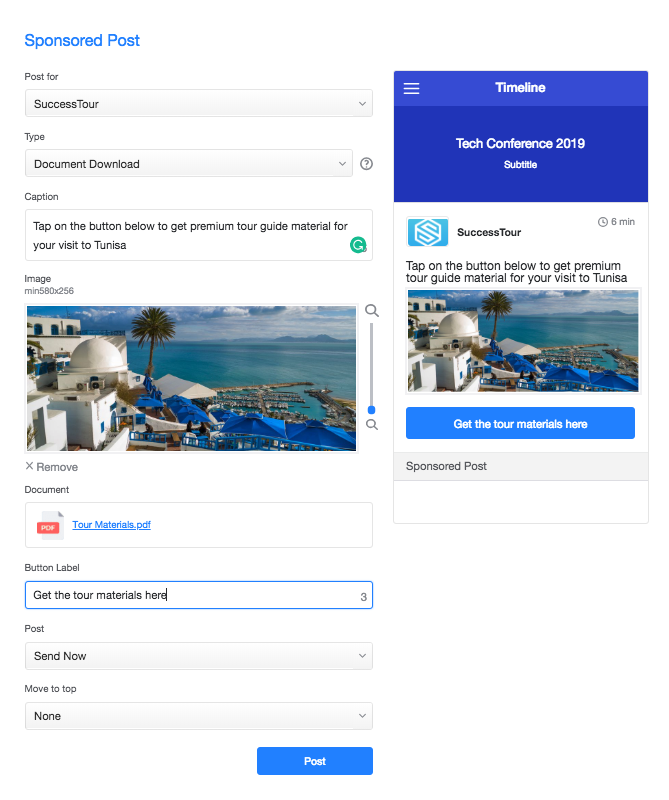 App Download: This template enables the promotion of a mobile app that contains direct download links to the App Store and Google Play listing. 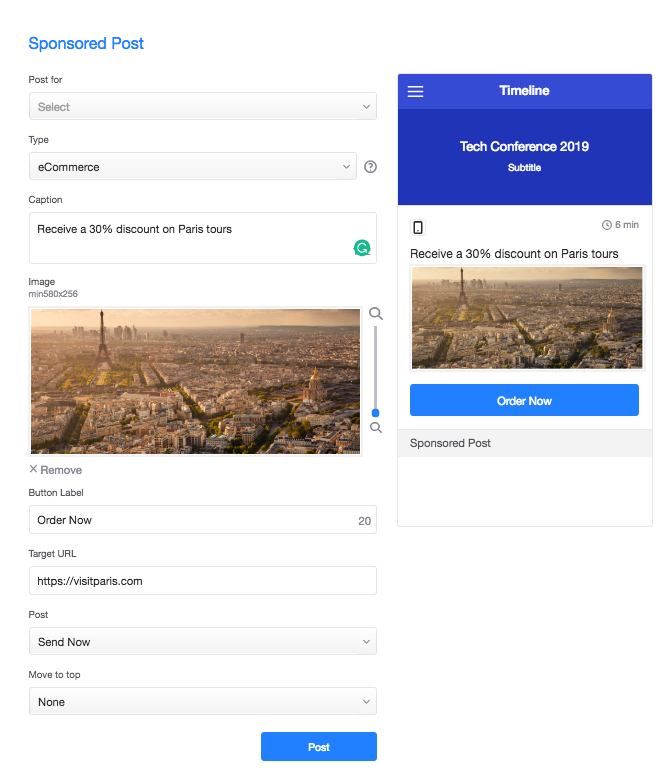 Gallery: If your sponsor wants to add a set of images promoting a product or service (or maybe their booth if they are present at your event) the Gallery template is a great choice. 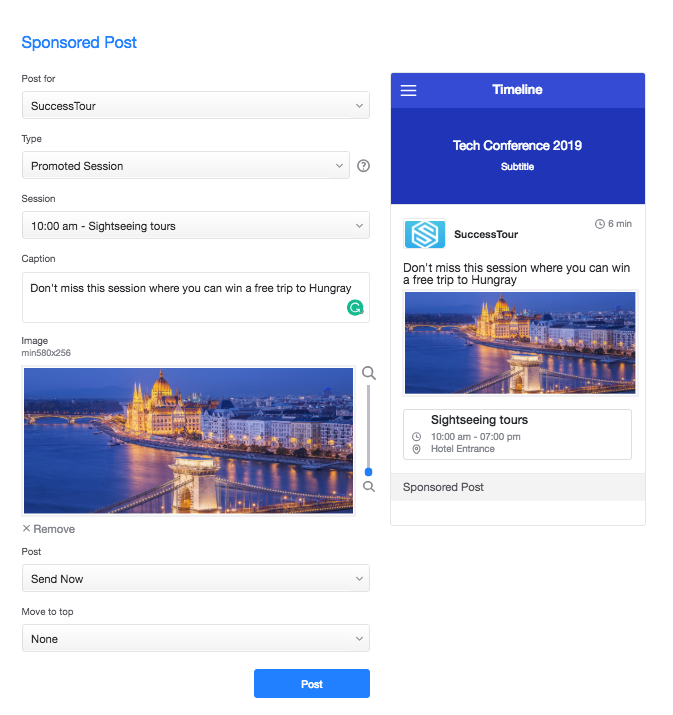 Promoted Session: This post type allows you to highlight a notable session that you want your attendees to have more visibility on. Engagement - The impressions divided by the actions, giving you a clear result on how the post performed. To get to this data click on the post's listing in the Sponsored Posts tab. In the pop-up window, you will see tabs for Performance, Leads, and Edit Post. 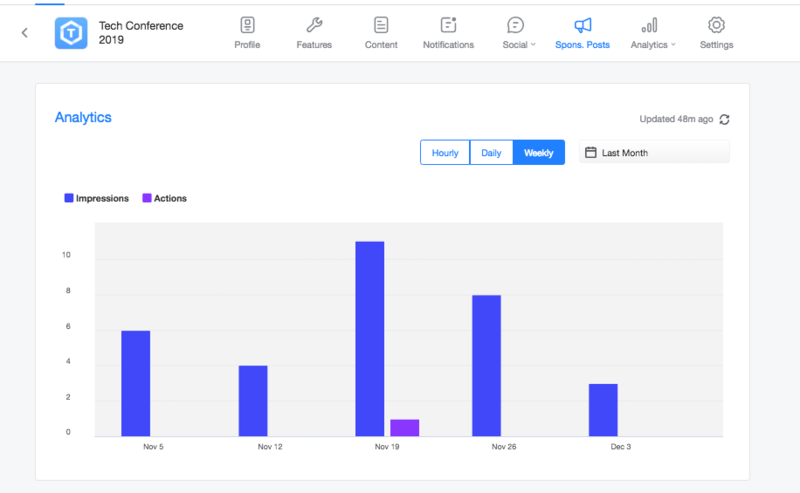 Performance will give you the impressions, actions, and engagement data, and allows you to send the Ad Report via email to anyone who would like to see it. Leads give an at-a-glance view of the attendees that clicked on the CTA button. Edit Post will allow you to make changes to the post on the fly. If you have questions on best practices or want to know how other clients have been successful with Sponsored Posts, please reach out to our support team or your dedicated success manager - we'd love to help!